Heat 1 Tbsp. oil in a large skillet over medium-high heat. Season chicken with salt and pepper and, working in 2 batches, cook until golden and cooked through, about 2 minutes per side. 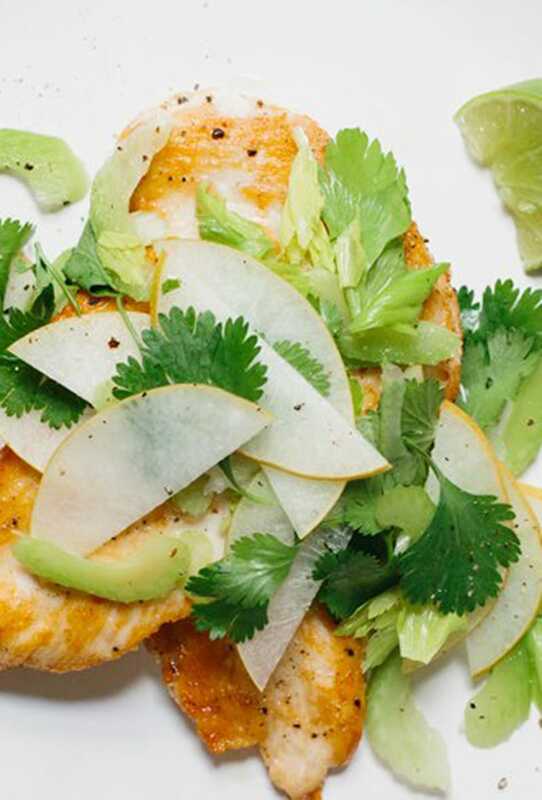 Toss pear, celery and celery leaves, cilantro, and lime juice in a medium bowl; season with salt and pepper. Serve chicken topped with Asian pear salad.